The area bounded in blue on the map shows the area covered by flood alerts and warnings for River Bollin at Prestbury. Areas at risk include land and property near to the River Bollin at Pool Street, the railway line and parts of Old Mill Lane, Waterside, Park Green, Sunderland Street and Thorp Street. 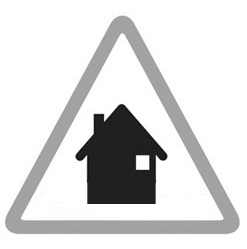 Areas at risk include some properties on Chester Road opposite Hazelbadge Road and some properties on Brookfield Avenue. Properties in the vicinity of Woolley Avenue, London Road South and Lostock Road, and Poynton Industrial Estate. Areas at risk include Wigwam Wood, properties on Wigwam Close and The Spinney. Some Properties on Brookfield Avenue, and Armcon Business Park.